Jaypee Business School (JBS) is the latest symbol of the vision of our Founder Chancellor Hon’ble Shri Jaiprakash Gaur ji. 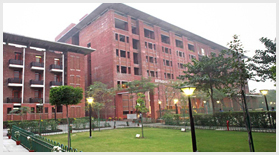 JBS was started in the year 2007 as a constituent of Jaypee Institute of Information Technology (Deemed University). It has made good progress in a short span and has shown a very high level of academic accomplishment. JBS has benchmarked itself with the latest content and teaching methodologies across the country. The mission of JBS is “to prepare and produce competent, passionate and market centric professionals who can manage human resources, business operations and ensure world class practices with endurance and commitment”. JBS grooms its students remembering its mission into leaders who are adaptable, flexible and sensitive to the cross-cultural business context. Students are also made aware of their social responsibility through a unique social internship program. 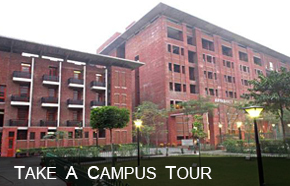 JBS is one of the few Indian B-School, which can boast of its state-of-the-art resources. All academic activities at JBS are faculty driven. JBS faculty are all respected professionals who have been recognised for their achievements in their respective fields. The faculty decides on the curriculum content, delivery, duration and management of each program.